Russian Earl Grey! A wonderful loose leaf Earl Grey tea spiced up with the addition of Thai Lemongrass and Spanish Oranges. We use a blend of high grown Ceylon Orange Pekoe Teas and China Black Teas from the Anhui Province. Traditionally in Russia sweet orange peel and herbs were added to soften and smooth the taste of the bergamot - we add Lemongrass leaves! Ingredients- Black tea combined with Orange Pieces, Lemongrass Leaves and Cornflower Petals to give this tea a lovely natural taste. How to Serve- Best served Black. Depending on personal preference, you can add milk, sugar or honey. Tasting Notes- The Lemon grass blended with the sweet Orange gives this tea a lovely citrus overtone with a beautiful mellow finish. Colour in Cup- This cup of tea looks very inviting with its bright, golden colour with reddish tones. Health Benefits- As well as giving the tea a beautiful flavour, the citrus from the Lemongrass can help you with clearing your head, noise and throat while keeping you calm and relaxed. 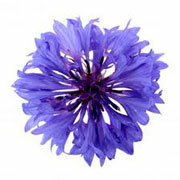 Adding the cornflower gives it an extra boots of floral detoxification. A lovely tea to have while your a bit under the weather or just fancy a bit of a boost!